The Boston Marathon bombers used pressure cookers. Before Patriot’s Day 2013 I had no idea that many of the IEDs used in Iraq and Afghanistan were fashioned from these wonderful cooking devices. 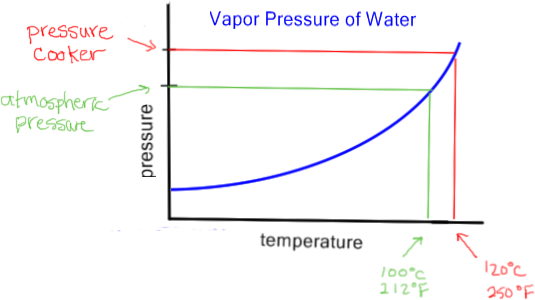 Every year when we discuss boiling points and vapor pressure in my chemistry class, I talk about pressure cookers. My mom had a pressure cooker when I was growing up, and many of my Indian students’ families routinely use pressure cookers. The heavy-walled pot has a lid that can be sealed tightly with a rubber gasket keeping the steam from escaping. Excess steam can be released through a release valve. Pressure builds up inside to the pot. 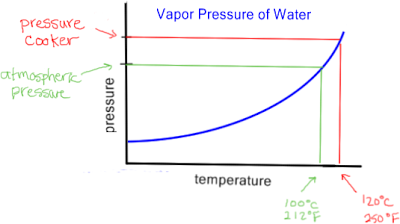 Water boils when its vapor pressure (a measure of the amount of forces holding water together) is equal to the surrounding pressure. Since the pressure is higher in the pot, the water boils at a higher temperature and food cooks faster and botulism bugs are killed. Dentists and hospitals use them to sterilize instruments between patients. These are truly marvelous inventions. Now, when I talk about boiling point and vapor pressure, I will have to add comments about pressure cookers being used as bombs, just as I discuss the Oklahoma City bombing when I discuss nitrogen-based fertilizer. Sometimes connecting chemistry to current events just stinks. If I were to start a blog about writing, I would make sure that every single post that I wrote was free of spelling errors, punctuation problems, and awkward or incorrect grammar. If I am writing about writing—I better be able to demonstrate to the world that I can write. Split infinitives and dangling participles are abhorrent to those that read good writing. I have been teaching chemistry for twenty years. It is a truly marvelous thing when my students start to “see” molecules and structures as a chemist would. In my organic chemistry class, we call this magical moment the epiphany, the “AHA!” moment when all the reactions, mechanisms, electrons, and arrows seem to dance in an organized way. Organic chemistry then becomes a set of puzzles instead of a bunch of note cards, because my students have learned a new way to see.